Though millions of nonprofits are engaged on the online stage, only a few of them are really successful with online fundraising. And no wonder – online fundraising is still terra incognita to many small nonprofits. It can be an awkward, bumbling experience at first. Here are our tips for overcoming your online fundraising gun-shyness and running a smart campaign. Though online gifts still only constitute a small piece of the overall pie, that piece is getting thicker and thicker. M+R’s 2018 Benchmark Study of 133 nonprofits measured an average 14% increase in online revenue in 2016. Recurring monthly donations shot up 23% as nonprofits placed emphasis on building monthly giving options into their messaging and site design. Not only the millennial generation, but Gen Xers and older, are shifting more and more of their transactional lives online, including engagement with causes. While the notion of keeping your org on the cutting edge of online social trends may seem daunting, don’t panic. Online fundraising begins with some familiar strategies. 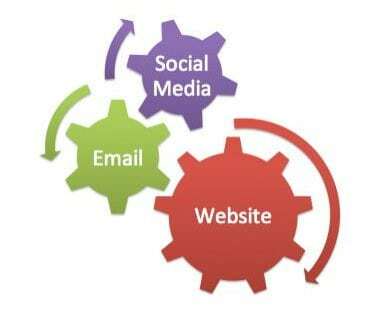 Too many organizations put the cart before the horse, attempting to build a supporter base online through fundraising. That’s sort of like passing around an offering plate in order to build your congregation. It’s just not how we work. First comes relationship, then comes support. So if you haven’t yet built a robust online community through your website, email marketing and social media, backburner online fundraising and invest your energy there first. If however you do have a vibrant and engaged online community, you’re in prime position to start an online campaign. 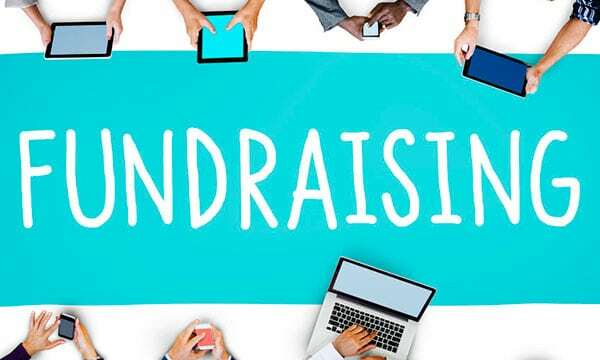 Just make sure you’ve got the basic ingredients for building some formidable fundraising chops – which means using the right platforms and features. There’s a slew of different social media platforms out there that can vault your campaign to the next level. Focus on those that really help you reach your core audiences. You do NOT have to be active on five different social media platforms to be effective. A. User-Friendly Website. No way around this one. You can’t have a crappy website and make a good impression on visitors. Potential donors will search for your site to determine whether your organization is worth supporting. If they find a jumbled, clumsy, outdated mess, they will likely extend these judgments to your organization. Unfair, but true. In addition to looking good, your website needs the ability to donate quickly and easily. Your donation page is your key conversion point and must be mobile-friendly. You’ll be sending people here from email and Facebook, and a majority of people are viewing those from mobile phones. A click-through to a page they can’t donate on is a huge missed opportunity. It should also be super simple to highlight a new campaign on your website, and you should have a prominent “Donate” button on your home page. C. YouTube. When it comes to emotional impact and storytelling, nothing works like video. Short, powerful videos that inspire action are one of the best investments you can make. YouTube offers unique privileges for nonprofits, like the exclusive capacity to embed a call to action overlay on your video that links to your donation page, which means viewers can respond immediately to your call to action without jumping through any hoops (online, hoops= death). YouTube videos can also be easily embedded on your website, email, and shared across other social media platforms. It’s mindboggling (!) how many nonprofits fail to take advantage of this highly strategic platform. Particularly when you can practically make a video in one afternoon (see our video guide if you’re stuck). D. Facebook. With one billion users, Facebook can be a fantastic platform for engaging with your supporters. (With its sketchy organic Newsfeed reach, Facebook now needs some $ investment to boost your posts and reach.) And while Facebook itself is not a fundraising rainmaker, it can be a great way to expand your community and get the word out about your fundraising campaigns. A small advertising budget on Facebook can rocket-launch the visibility of your video or campaign image. E. Twitter. Again, Twitter may not be the perfect fit for your organization depending on your target audience, but it has been used quite effectively for fundraising by some organizations. Charity:Water was able to raise $250,000 on Twitter alone through the efforts of one of their supporters, Amanda Rose. This first mass rallying for funds, known as “Twestival” was so successful that it gave birth to a Twitter-based grass-roots initiative by the same name. Twestival is now defunct, but other opportunities for mass movements are built into the Twitter woodwork. Aside from jumping on trends like #Giving Tuesday, tweeting updates and stories is a great way to keep supporters abreast of your campaign. F. Causes. Causes is a social media network designed specifically for activists and philanthropists. This means only those with a soft spot for nonprofits sign up. Nonprofits can set up a profile and take advantage of Causes’s 186 million worldwide registered users to both tell their story and receive donations directly through the platform. Causes also integrates well with Facebook, boosting visibility even further. G. Crowdfunding Sites. You’ve mostly likely heard of Kickstarter, the crowdfunding site used as a platform for fundraising campaigns for various creative projects. In 2014 alone, Kickstarter raised $529 million in pledges from a total of 3.3 million people. Kickstarter and other crowdfunding sites specifically tailored to nonprofits, like CauseVox, Fundly, and a myriad of others, establish a headquarters for your campaign apart from your website. We recommend this primarily to fund very specific, new and innovative projects, not for general fundraising for your core mission. With a smart configuration of these platforms in place, you’ll soon be on your way from online fundraising ingénue to online fundraising mastermind. But, remember, you’ll need to invest a lot of time growing and engaging your community on any of these platforms before you even think about launching your first fundraising campaign. Oh, and for the love of all things holy and good and nonprofit-y…have fun! Building community is one of the great joys of social networking. For the most current stats on nonprofit online fundraising, flip through M+R’s 2018 Benchmarks Study.